A grand jury may decide if the driver of the tan 70's model car who allegedly chased the teen through the Aldine Mail Route Road intersection will face charges. Houston — There is now a clearer picture as to why Harris County prosecutors may have decided to charge a 14-year-old boy with murder following a deadly New Year’s Day crash that killed a McAllen woman. Harris County Assistant District Attorney Sean Teare, who is chief of the vehicular crimes division, confirmed the teen is not being charged as an adult. The 14-year-old is being charged with murder as a juvenile for allegedly running a red light and slamming into a pickup truck. 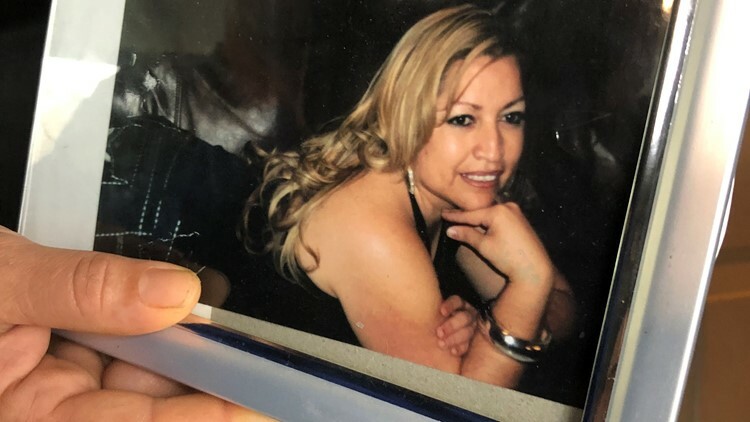 The driver, 45-year-old Silvia Zavala, was killed in the crash. Silvia Zavala was killed when a 14-year-old driver crashed into her, according to HCSO investigators. Teare said the public may never know the specifics of this case because juvenile cases are sealed. He said a lot of people have been asking why a murder charge was given to someone so young. “The murder charge is the exact same as a regular murder that you envision with a gun shooting someone except there is no intent to commit a murder in the murder charge of a case like this,” Teare said. He said the charge is called "felony murder." “In a case like this, it would be the unauthorized use of a motor vehicle and during the commission of that felony; just driving the stolen car you commit and act clearly dangerous to human life,” Teare said. In addition, Teare plans for a grand jury to decide if the driver of the tan 70’s model car who allegedly chased the teen through the Aldine Mail Route Road intersection will face charges. The driver is described as a Hispanic male in his late 20s and is cooperating with investigators. He allegedly brandished a gun at the teen and his two passengers after they allegedly threw eggs at cars. If proven true, Teare said it could change how this case is pursued by prosecutors. “In a case like this, if there were something like a gun being waved around or fired at the person and that person fleeing from that, that’s absolutely going to minimize their culpability in the death,” Teare said. Surveillance video captured the Lincoln chasing the car and also running the red light which is a Class C misdemeanor. In Texas, Teare explained if anyone is involved in any way in a crash that potentially can lead to serious bodily injury or death, that person is required to stay at the scene and ensure the injured person or people get the help they need. If not, it’s considered a second degree felony. In a juvenile case like this, one a defendant is also found delinquent or non-delinquent versus guilty or non-guilty but the outcome may never be known because the teen is tried as a juvenile. Also, Teare said there is nothing on the books that requires parents to keep vehicles out of the hands of children like there are with guns, but they could be held responsible in civil court. He encourages parents to keep keys away from children until they get their license.